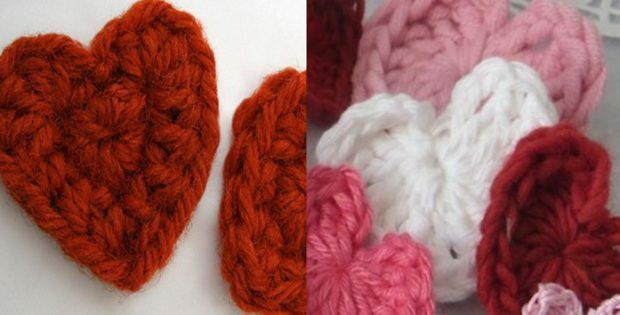 These easy crocheted mini hearts can be made in a variety of sizes so you can use them for any type of decoration and embellishment for any clothing piece. Or better yet, give it as a present for valentines or special occasion to your friend or special someone. This stunning crocheted mini heart is another great design from TooTooAmy. A very simple and easy to make mini hearts. In fact, even a new crocheter can easily create this with their eyes closed. You can access written and video tutorial pattern of this pretty mini hearts for FREE. It is especially easy if you follow along with the video tutorial below. Featured image(s): Daily Crochet – thank you! Watch this great video tutorial and work along with Amy! Do You Have These 7 Must Have Crochet Hook Types?